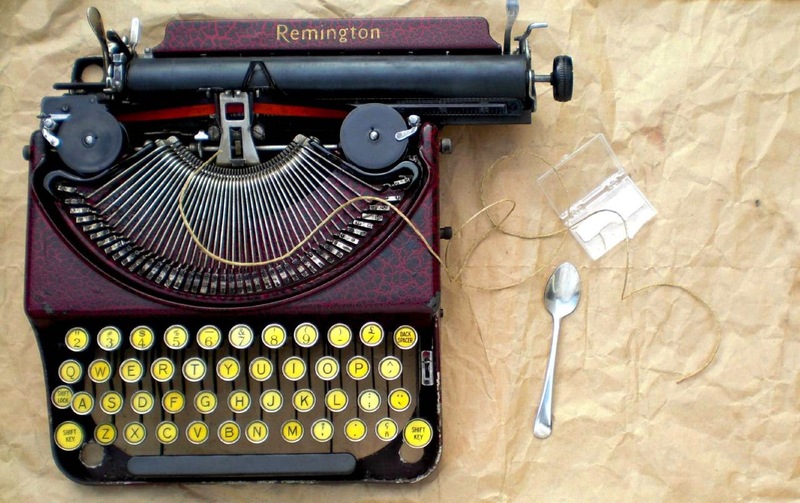 The drawband of the Remington Portable typewriter was broken. With the carriage back on the rails, a new drawstring now needed to be attached. By the look of it, the drawstring was made of waxed hemp rope. The hemp rope that was in the local shop was much too thick (24 lbs) and online sources are happy to sell you 5 miles of the stuff but not 50 cm. As a substitute to stay close to the original, simple packing string was used. A bit thicker than the original, but still fits the pulley. 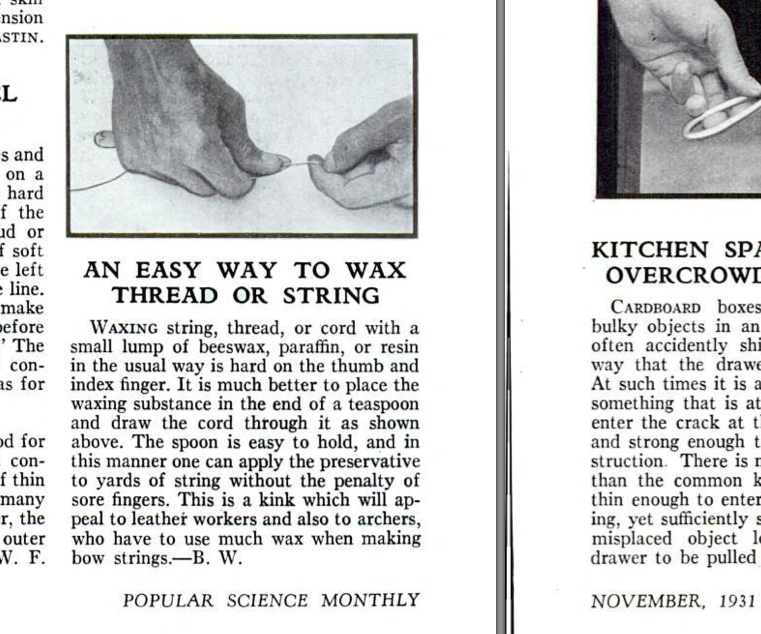 The snippet on waxing string gave some practical advice on how to do this. One end of the string is attached to the eyelet opening on the drum and the string routed around towards the pulley underneath the carriage (orange). From there the string can be led to the other end of the carriage fairly easily. By lifting the carriage release, the string drops in neatly into its path next to the indexing ratchet bar. At the far (right, left in image :) the string is clamped in the hook-plate that is held by a screw on the carriage. The hook-plate can be pried open with a sharp screwdriver and clinched over the new rope. By turning the tensioning screw (blue) on the drum, the spring is wound and pull placed on the carriage. Make very sure the carriage is running freely when testing for the least tension needed that will index the carriage at every position. The lever (green) next to the drum will release the spring tension. By rocking this lever, the spring is unwound a fraction of a turn at every click. This is an admirable attempt at authenticity. I just use nylon fishing line.